Today's mountain of deliveries sadly didn't include my copy of Sengoku Basara Magazine issue 2, which is still somewhere in Japan on its way to me. 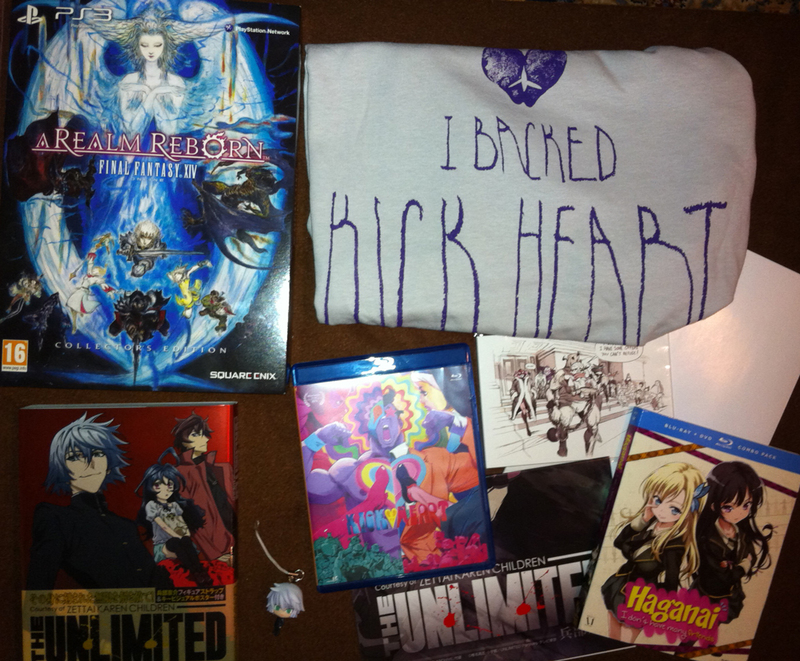 Instead, I received Final Fantasy XIV: A Realm Reborn for PS3, my The Unlimited -Hyoubu Kyousuke- Archive book with exclusive Kyousuke strap and a Kick-Heart pack from the very first Kickstarter campaign I backed. 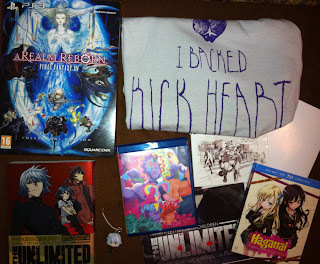 Oh, and the DVD/BD combo pack of Haganai (Boku Ha Tomodachi Ga Sukunai) from the US. My first batch of Comiket 84 doujinshi purchases arrived too.